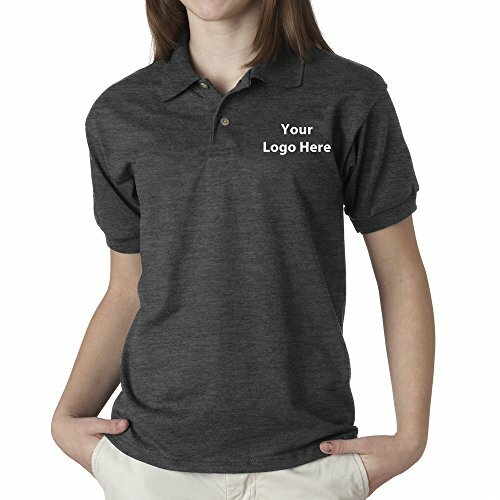 This Promotional Gildan® DryBlend® Youth Jersey Polo is Preshrunk 50% Cotton/50% Polyester Jersey Knit , 5.6 Oz. , DryBlend.. Technology Delivers Moisture-Wicking Properties. Logo Info: One color / One location (as shown on picture). T-Shirts available in sizes XS-XL. Extended sizes available in some cases. Please specify your specific sizes when you send in your artwork. We can offer up to 12 2XL and 6 3XL in our pricing model.